An architectural project is a journey we embark on together. 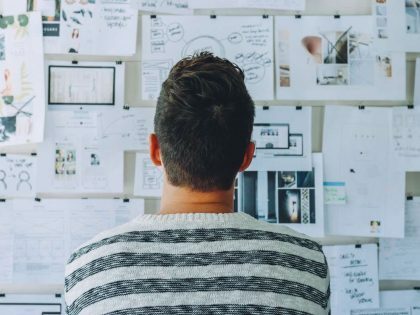 This may be your first ever architectural project, and even if you have allready been involved in one, you can be forgiven for feeling confused about what lies ahead. This is why we aspire to keep the whole process as clear, transparent and predictable as possible for you. Once appointed to accompany you on the journey, we will always be at your side guiding you through. The first meeting will usually take about an hour, and you will not be charged for it. Further pre-appointment consultations, if they are required, may need to be paid for on a time basis. The cost of a building project is extremely difficult to predict before it is fully designed. A myriad of factors can affect the price including size, scope and complexity of the works, amount and complexity of the structural elements, level of specification required - to name just a few. Following the initial discussion, we may be in a position to give you just a very rough idea of what your project may cost. For projects over £100k we recommend appointing a specialist cost consultant, usually referred to as Quantity Surveyor, or QS. They would prepare an initial cost estimate and then update it as the project evolves, helping you keep the budget under control. During construction, they would assess the cost of works done and advise on the amounts due to the Contractor. If you are just considering buying the property, we can help you assess its condition and potential, research its planning history and advise on any limitations. This consultancy service would be chargeable on time basis. The next step will be preparing a Proposal for Services. Our proposals tend to be very detailed, as we believe it is essential for you to have full clarity on what you can expect. • Site description: a summary of information provided by you and researched by us (e.g. we will check whether the building is listed and/or located in a conservation area). • Client’s brief: a summary of your requirements as discussed during our meeting. • Target construction budget: a broad estimate of overall costs. • Statutory consents: the permissions you may have to apply for depending on the extent of the work you wish to carry out, the location and type of your property. • Surveys: a list of investigations to be arranged for the purposes of design and statutory submissions. • Information to be provided: a list of information we will expect from you, e.g. images reflecting your aesthetic preferences, your requirements to the engineering systems, etc. • Scope of services: detailed break-down of our services and design deliverables at each stage of the project. 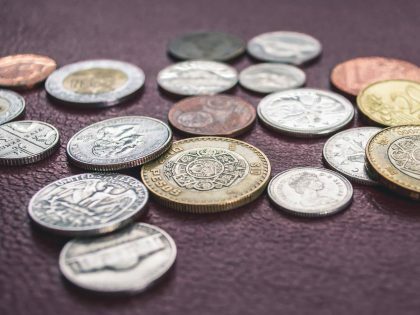 • Assumptions & Exclusions: we will make sure that you clearly understand what services have been left out as optional and what circumstances, if any, may lead to additional costs. • Fees: our proposal will clearly outline the base fees, the time-based rates and the schedule of payments. • Timeframe: an indication of how long each stage of the project will take. 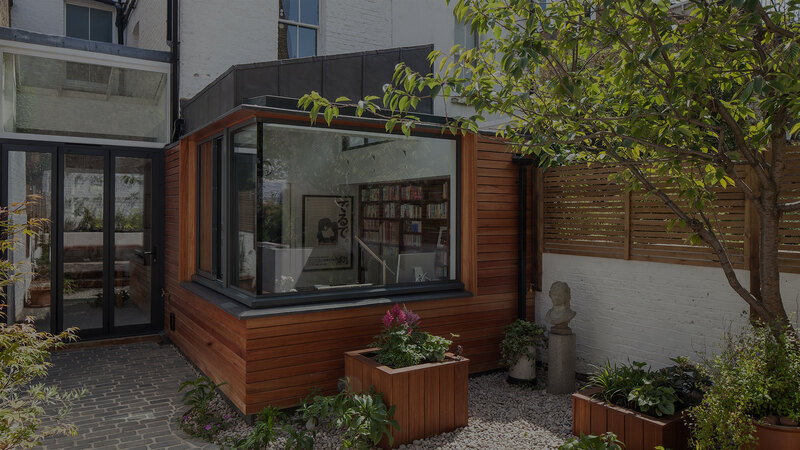 • Terms & Conditions of appointment: working with private homeowner clients, we use standard RIBA conditions of Appointment of an Architect for a Domestic project. 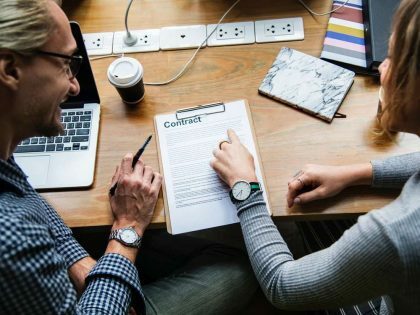 Assuming that our proposal has met your expectations and we have agreed on all the details before you put pen to paper, we will once again explain to you all aspects of the appointment and your rights as a Consumer Client. Now the work can begin! This is the most important stage as it determines the rest of the project. 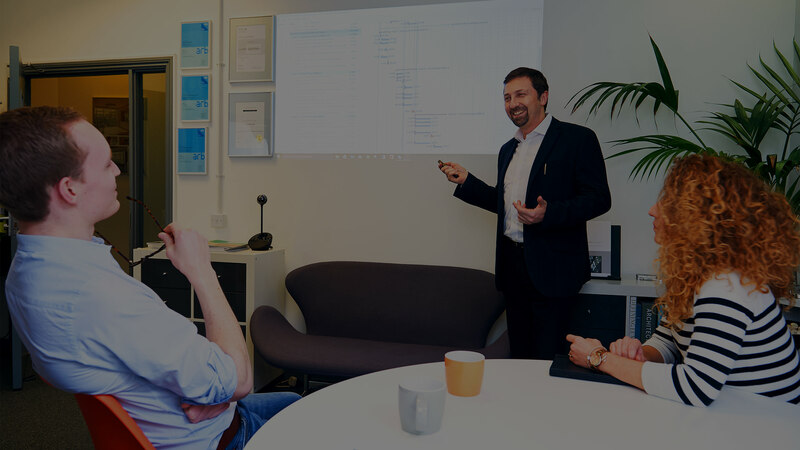 You will discuss your goals, ideas, aspirations and budget with us and we will help you assess your options and if necessary carry out a feasibility study. We will also identify what other professionals need to be consulted, for example a structural engineer. We will respond to your brief with our initial design ideas – displayed in a series of sketches, called a ‘concept design’. Your feedback is crucial at this stage, so we know how to develop the ideas into a full design solution. 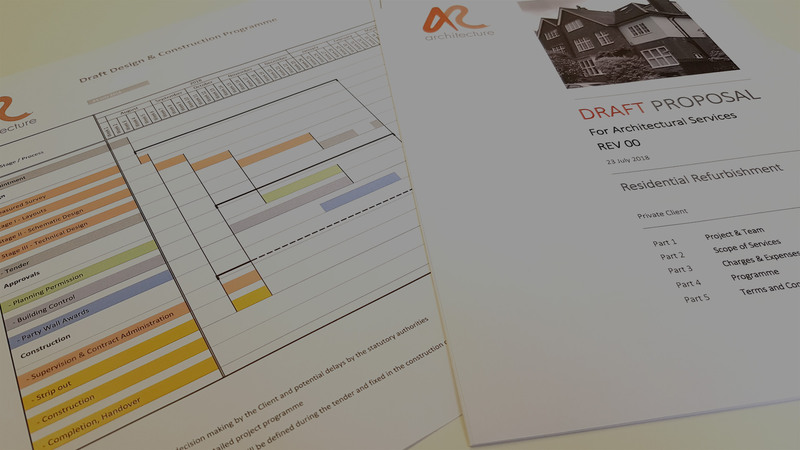 Together we will agree on a project strategy and timeline, and then we will liaise with local planners on your behalf. This is where we spend time developing the concept design into something that can actually be built. This more detailed digitalised version will go beyond the shape and style of the building to include all practical considerations and the work of any other consultants. At this stage you will start to get an idea of the cost of the project, and once the developed design is agreed then we will submit it for planning approval. 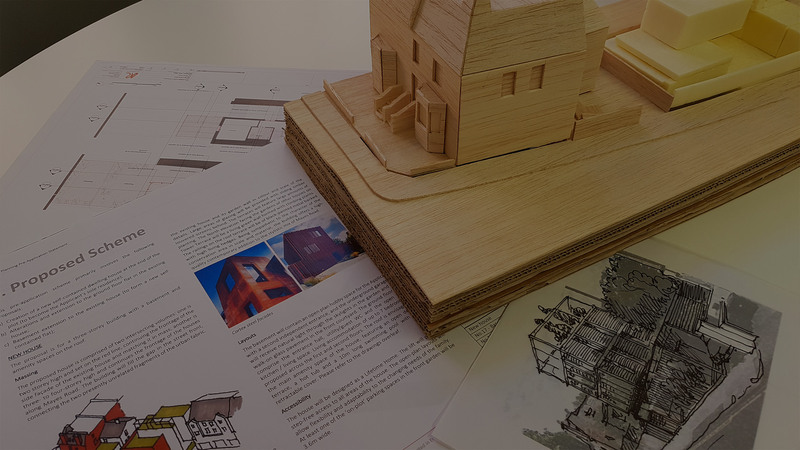 Although the fundamental design is agreed at Stage 3, a further level of technical detail is required to create precise floor-plans and specifications that can be handed to a building contractor. 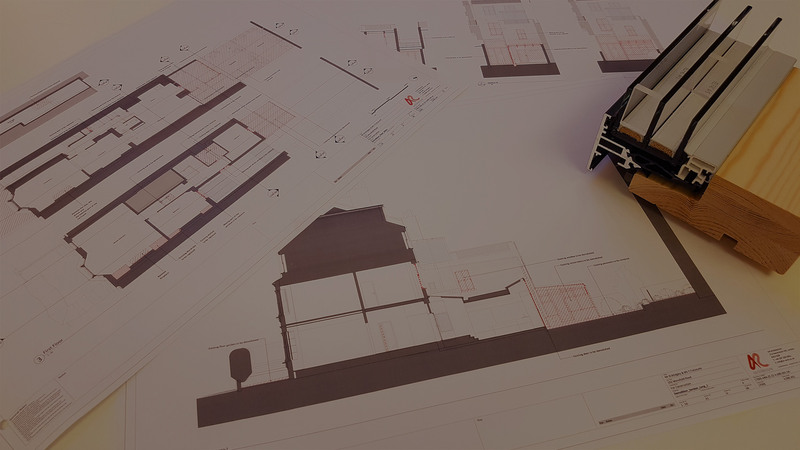 Any conditions attached to planning permission will need to be resolved at this stage and we will also submit the plans for building control approval. Once this is done, we can start to approach builders, and if desired we can manage them on your behalf. The building is now under construction! Throughout this stage, we can oversee and manage the project to make sure it is built on budget and on time. Any minor deviation from the technical design will be documented. The Client has a contract with the Architect, who provides professional services to the Client. The Client also has direct contracts with all other professional consultants. The Client has a separate contractual relationship with the building contractor. The Architect is not a party to this contract, but is named as the Client’s Agent. 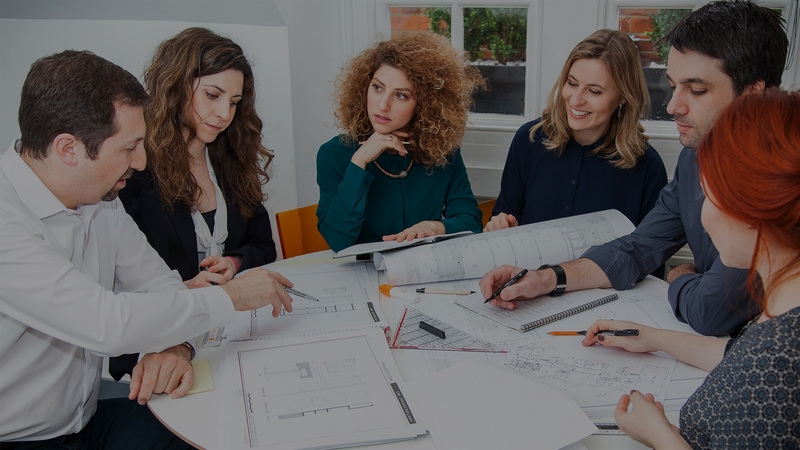 One important driver in the whole process is that all communication between the Client and any of the other parties is channelled through the Architect. The building contractor has his own contractual relationships with specialist sub-contractors and suppliers. In a building contract, the Architect is responsible (and insured) for all matters related to architectural design. Likewise, the structural and the mechanical engineers are responsible for all aspects of their respective engineering design. 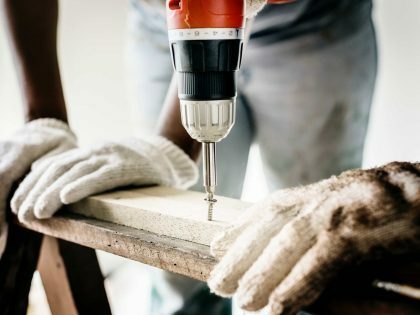 The building contractor is responsible for the work he executes and the manner in which he does so, and carries full public liability insurance for his building activities. 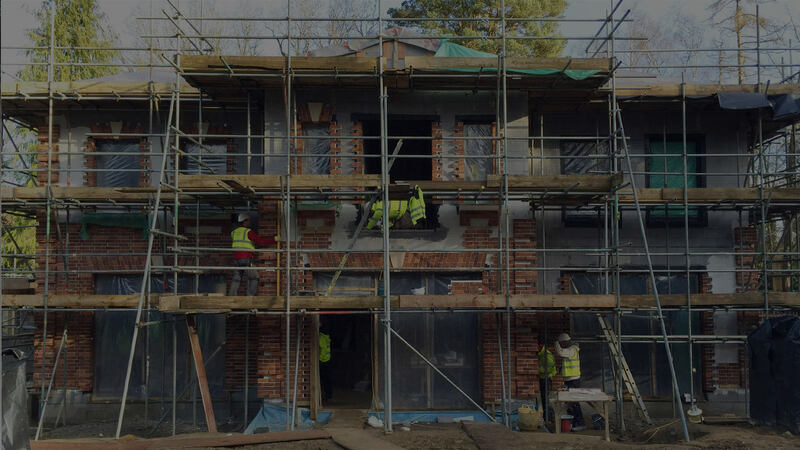 It is the building contractor who has the responsibility to carry out building work correctly and in accordance with the design drawings and specifications. 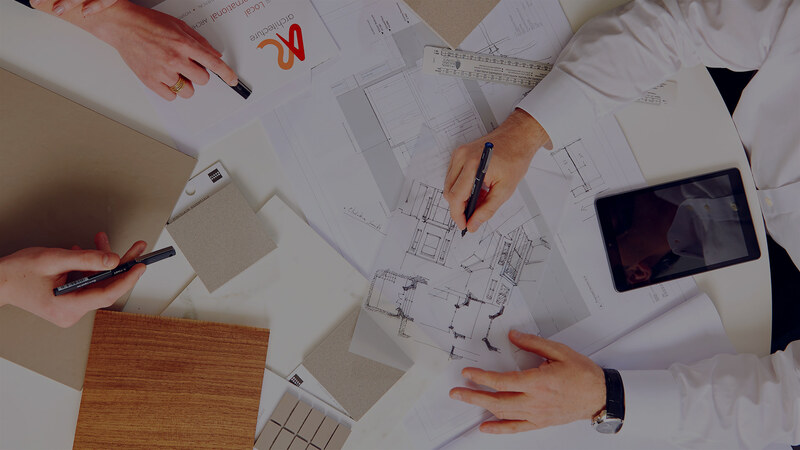 Architects and structural engineers have a duty to oversee and inspect the work of the contractor and to check that the work is carried out correctly. The inspections are carried out during regular site visits and are, therefore, not exhaustive. 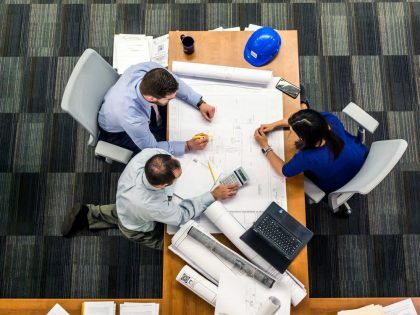 If a Client requires continuous and detailed supervision of the work, we would recommend that the client employs a ‘clerk of works’ to be on site at all times or agrees to pay additional fees for us to provide a full-time site-based architect. In this final stage, the project is wrapped up and the building handed over to you. We will inspect the building, finalise the building contract and complete any necessary certifications, and you will be able to give feedback. We will have a chance to evaluate the project and the building is now ready for use.